The Massachusetts Institute of Technology recently played host to a unique competition for high school students in the United States and Europe. After months of simulations on the ground and preliminary trials with mockups on air-bearing floors, the finalists in this competition—the Zero Robotics Challenge—saw their control algorithms tested in real-time with real satellites that can move on their own inside the International Space Station. MIT created Zero Robotics in 2009 to challenge young minds with healthy competition and to cultivate problem-solving skills by connecting students with real space research at no cost to the participants. This year’s competition focused on developing code to control satellites that might one day collect and dispose of space junk. 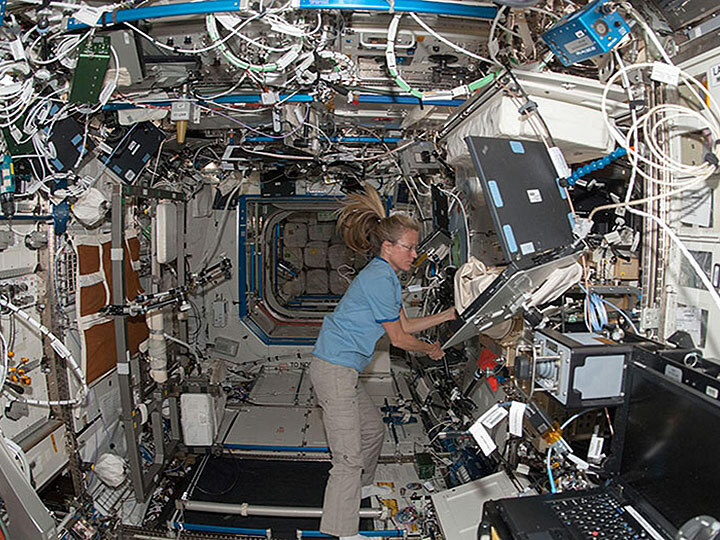 The process of writing computer code, evaluating it in simulations and on the ground, and experimenting with the best ideas on the Space Station is the same used by professional researchers, scientists, and engineers. That is why Zero Robotics provides a particularly powerful experience for its participants and helps address the critical need for Science, Technology, Engineering, and Mathematics (STEM) education in our society. The small satellites onboard the Station, called SPHERES, were originally part of a Defense Advanced Research Projects Agency (DARPA) program to evaluate new control programs for future generations of defense-related satellites. Once their primary mission for the Department of Defense was completed, NASA took over the operation and maintenance of the SPHERES satellites as a testbed platform available to NASA researchers, new DARPA projects, private industry, and education programs. Zero Robotics itself has grown with the SPHERES program from a small pilot with two teams in Northern Idaho to an international program that has reached thousands of students. After preliminary competition rounds before the finals, individual teams were required to form alliances with partners in different regions to show students how professionals collaborate across geographic boundaries. The best US high school alliances were invited to the Finals at MIT on January 11, 2013, while the European Space Agency hosted the best EU teams in a simulcast event. 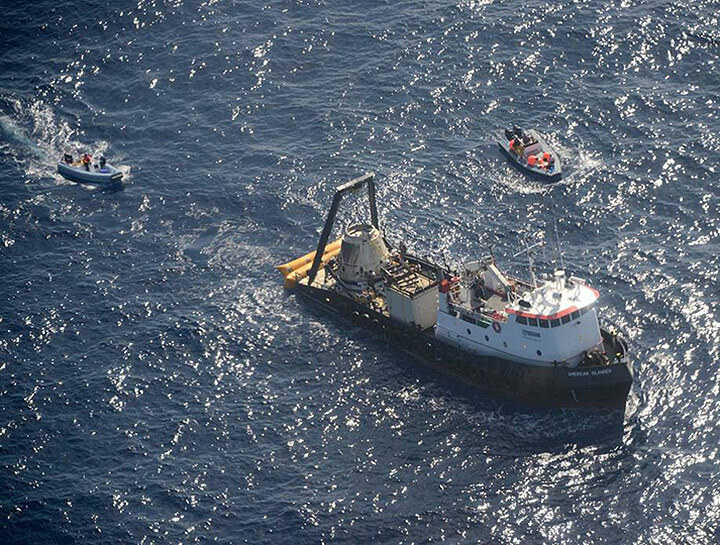 While the students watched the live feed from the Station, astronauts Kevin Ford and Tom Marshburn uploaded their code, ran the tests with the SPHERES satellites, and even changed out the inert gas fuel tanks. With help from visualization software developed by MIT, the competitors could watch the SPHERES move around inside the Station and complete simulated tasks—and then see computer animations of the results. The students’ excitement from seeing the reward of all their hard work and their enthusiasm as the scores posted was palpable. Cries of suspense filled the auditorium on the occasional drops in video signal that accompany real-time operations, along with cheers of joy when the live feed came back online. Completing mission tasks, with the least amount of fuel and in the least amount of time, earned the teams points. Tasks included deploying dust clouds to deorbit dead satellites, collecting items from larger satellites, refueling, and navigating to the finish line. After bracket-style elimination rounds, the alliance #24—which included the Mira Loma Matadors, Team y0b0tics!, and the Green Wrenches—emerged victorious in the US competition. 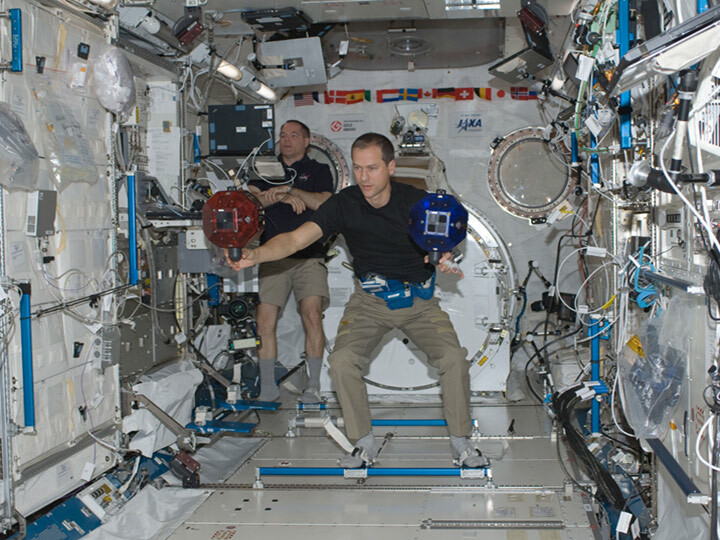 the ISS National Lab will sponsor the 2013 Zero Robotics Middle School challenge this summer, which introduces programming and robotics to underserved populations through mentors trained on the Zero Robotics curriculum, while DARPA and NASA will sponsor next year’s high school challenge. Interactive learning experiences with connections to real-world science and technology are crucial to equipping our children to meet the challenges of the 21st century. Zero Robotics fulfills this mission by not only showing students what is possible in space but also making them a part of the endeavor.